Tupac Shakur's parents were both members of the Black Panther Party. At 13 Tupac played Travis Younger in 'A Raisin in the Sun' at the Apollo Theater to raise funds for presidential candidate Jesse Jackson. Before the East Coast/West Coast rap feud started, Tupac and Biggie Smalls were friends. Hip-hop legend Tupac Shakur was embroiled in a feud between East Coast and West Coast rappers and was murdered in a drive-by shooting in 1996, leaving behind an influential musical legacy at the age of 25. 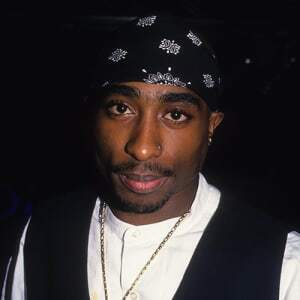 Tupac Shakur (June 16, 1971 to September 13, 1996) was an American rapper and actor who came to embody the 1990s gangsta-rap aesthetic, and who in death became an icon symbolizing noble struggle. 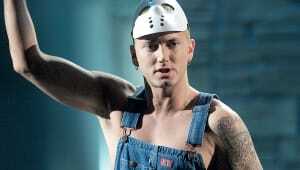 He has sold 75 million albums to date, making him one of the top-selling artists of all time. A sensitive, precociously talented and troubled soul, Tupac was gunned down in Las Vegas on September 7, 1996 and died six days later. His murder has never been solved. Tupac began his music career as a rebel with a cause to articulate the travails and injustices endured by many African-Americans. His skill in doing so made him a spokesperson not just for his own generation but for subsequent ones who continue to face the same struggle for equality. In life, his biggest battle was sometimes with himself. As fate drove him towards the nihilism of gangsta rap, and into the arms of the controversial Death Row Records impresario Suge Knight, the boundaries between Shakur&apos;s art and his life became increasingly blurred — with tragic consequences. READ ARTICLE: "A Letter to Tupac" by author, activist and journalist Kevin Powell. Tupac died on September 13, 1996 of gunshot wounds inflicted six days prior. On September 7, Tupac was in Las Vegas with Suge Knight to watch a Mike Tyson fight at the MGM Grand hotel. There was a scuffle after the bout between a member of the Crips gang and Tupac. Knight, who was involved with the rival Bloods gang, and members of his entourage piled in. Later, as a car that Tupac was sharing with Knight stopped at a red light, a man emerged from another car and fired 13 shots, hitting Tupac in the hand, pelvis and chest. He later died at the hospital. His girlfriend Kidada and his mother Afeni were both with him in his final days. Tupac&apos;s body was cremated. 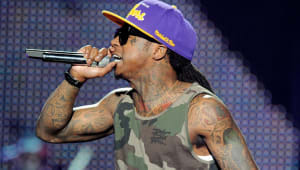 Members of his old band, Outlawz, made the controversial claim that they had smoked some of his ashes in honor of him. His mother announced she would scatter her son&apos;s ashes in Soweto, South Africa, the "birthplace of his ancestors," on the 10th anniversary of his murder. She later changed the date to June 16, 1997 — Tupac&apos;s 26th birthday as well as the anniversary of the 1976 Soweto uprising. On March 9, 1997, six months after Tupac died, Biggie Smalls was killed in a drive-by shooting in Los Angeles; his murder has never been solved, either. Tupac Shakur died of gunshot wounds in 1996. However because his murder has never been solved, conspiracy theories have raged ever since. 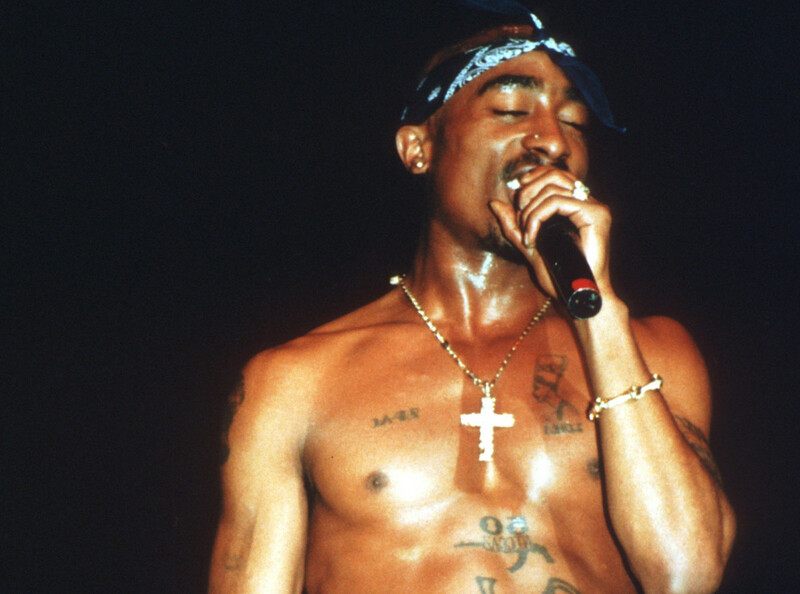 Fans have speculated that Tupac faked his death. On his album Life Goes On, Tupac rapped about his funeral; his song “I Ain’t Mad at Cha” was released two days after he died. There have been several reported potential Tupac “sightings” since his death, including in 2012 by Kim Kardashian. In September 2017, Suge Knight hinted that Tupac might be alive in an interview. "When I left that hospital me and &apos;Pac was laughing and joking. I don&apos;t see how someone can go from doing well to doing bad," said Knight, adding that “with Pac you never know” if he could be alive and living in secret somewhere. In early 2018, BET aired an episode of Death Row Chronicles in which former Crips member Duane "Keffe D" Keith Davis admitted that he was riding in the car with the man who killed Shakur; he declined to identify the shooter in the interview, revealing only that the shots "came from the back seat," though he had earlier told federal investigators that the gun was in the hands of his nephew Orlando Anderson (now deceased). The revelation fueled the launch of a change.org petition that called for the Las Vegas Metropolitan Police Department to declare the case "cleared." It also led to rumors that new arrest warrants were pending, but the LVMPD shot down those rumors in July, saying that they were reviewing the details of what "remains an open homicide case." “Who Killed Tupac?” is a six-hour limited series which premiered in November 2017 on A&E. The series includes aspects from the legendary artist’s life, and follows famed civil rights attorney Benjamin Crump as he conducts a full-scale, intensive investigation into key theories behind his murder. Tupac has released a total of 11 platinum albums: four during his career, with seven more released posthumously. To date, Tupac has sold more than 75 million records worldwide. As of September 2017, the Recording Industry Association of America (RIAA) listed Tupac as the 44th top-selling artist of all time by album sales and streaming figures. Tupac&apos;s first album as a solo artist was 2Pacalypse Now. Although it did not yield any hits, it sold a respectable 500,000 copies and established Tupac as an uncompromising social commentator on songs such as "Brenda&apos;s Got a Baby" — which narrates an underaged mother&apos;s fall into destitution — and "Soulja&apos;s Story," which controversially spoke of "blasting" a police officer and "droppin&apos; the cop." The song was cited as a motivation for a real-life cop killing by a teenage car thief called Ronald Ray Howard, and was condemned by the then-U.S. Vice President Dan Quayle. "There is absolutely no reason for a record like this to be published," Quayle said. "It has no place in our society." With those words, Shakur&apos;s notoriety was guaranteed. Tupac’s second album, Strictly 4 My Niggaz, dropped in February 1993. It continued in the same socially conscious vein as his debut. On the gold-certified single "Keep Ya Head Up," he empathized with "my sisters on the welfare," encouraging them to "please don&apos;t cry, dry your eyes, never let up." The video featured a cameo from his good friend, actress Jada Pinkett-Smith, whom Tupac had met in high school at the Baltimore School for the Arts in Maryland. 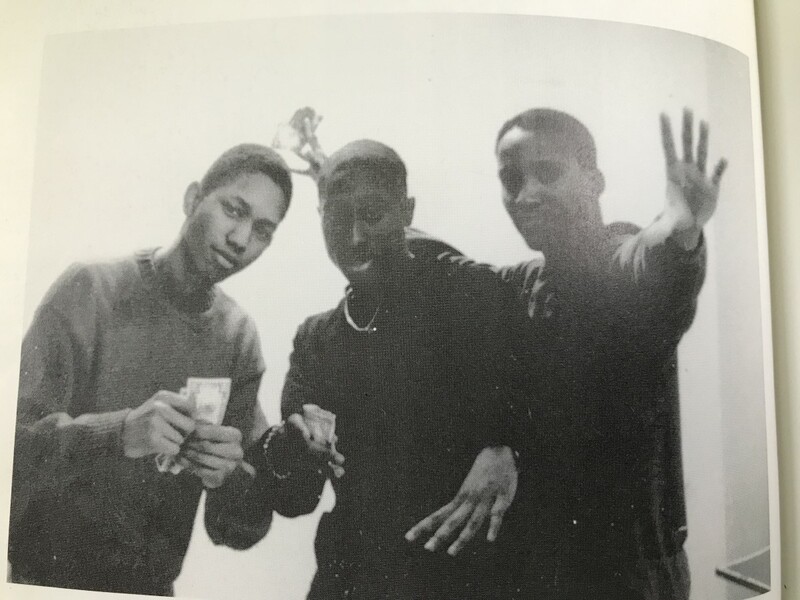 READ ARTICLE: &apos;Back in the Day: My Life and Times with Tupac Shakur&apos; (EXCERPT) by author and artist Darrin Keith Bastfield (right), pictured here with Tupac (middle) and another friend Gerard Young. The album also featured contributions from Tupac&apos;s step-brother, Mopreme. 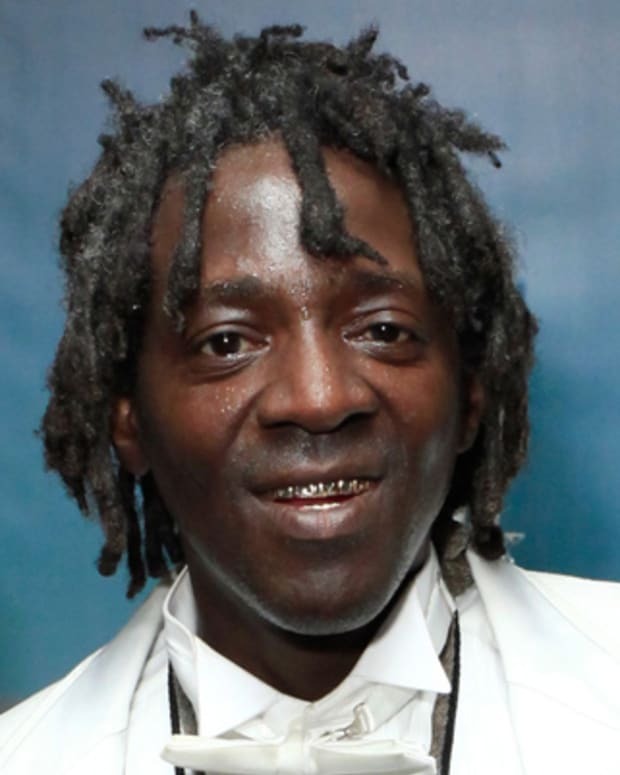 Mopreme became a member of the hip-hop group Thug Life, which Tupac started and which released the album Thug Life: Volume 1 in 1994. When Tupac&apos;s third solo album came out on March 14, 1995, he was in jail. Its title, Me Against the World, could not have been more apt. It reached No. 1 in the Billboard 200 chart and is considered by many to be his magnum opus — "by and large a work of pain, anger and burning desperation" wrote Cheo H. Coker at Rolling Stone. 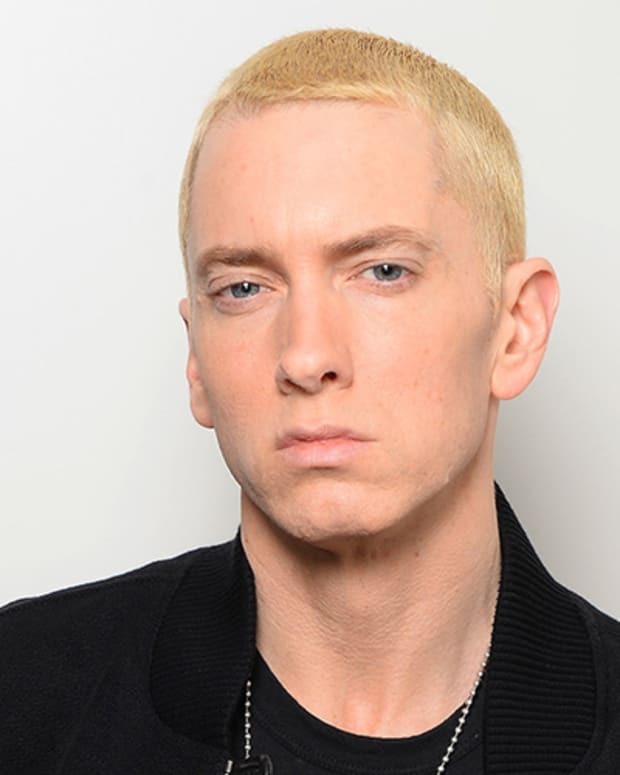 But there was vulnerability, too — lead single, "Dear Mama," was a tear-jerking tribute to his mother, Afeni, that hit number 9 on the Billboard Hot 100 in April 1995. Tupac&apos;s debut for Death Row, the double-length album All Eyez on Me, came out in February 1996. With his new hip-hop group Outlawz debuting on the album, All Eyez on Me was an unapologetic celebration of the thug lifestyle, eschewing socially conscious lyrics in favour of gangsta-funk hedonism and menace. Dr Dre, who had pioneered g-funk with NWA, produced the album&apos;s first single, "California Love" — which went to No. 1 on the Billboard Hot 100, and remains Tupac&apos;s best-known song. 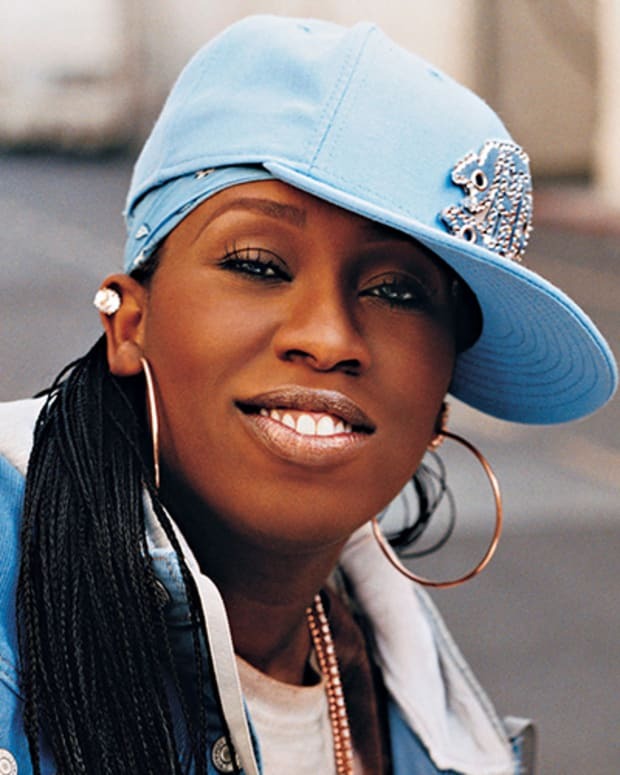 The third single from the album, "How Do You Want It," also reached No. 1. Within two months of its release, All Eyez on Me had been certified five-times double-platinum. It would eventually become diamond certified. “Grab ya Glocks, when you see Tupac; Call the cops, when you see Tupac, uh; Who shot me, but ya punks didn&apos;t finish; Now ya bout to feel the wrath of a menace,” he rapped. Tupac&apos;s fifth album, Don Killuminati: The Seven Day Theory, was released in November 1996, just eight weeks after his death. It also reached No. 1 on the charts. Tupac recorded a total of six studio albums released posthumously, up to and including Pac&apos;s Life in 2006. Tupac signed a $3.5 million contract with Death Row records in 1995 and, although he had sold $60 million in records, it was rumored he was in debt to the label at the time of his death. Since his death, however, Tupac has continued to sell millions of records. Forbes magazine estimated that Tupac’s estate took in $9 million in 2007 and $3.5 million as recently as 2010. Celebrity Net Worth estimates Tupac’s estate’s net worth as of 2017 to be $40 million. Along with his music, Shakur had appeared in several films by the time of his death, among them starring roles alongside Janet Jackson in 1993&apos;s Poetic Justice and Mickey Rourke in 1996&apos;s Bullet. "It wasn&apos;t just about, oh, you have this cute girl, and this cool guy, they must have been in this — nah, it wasn&apos;t that at all. It was about survival, and it had always been about survival between us," she said. 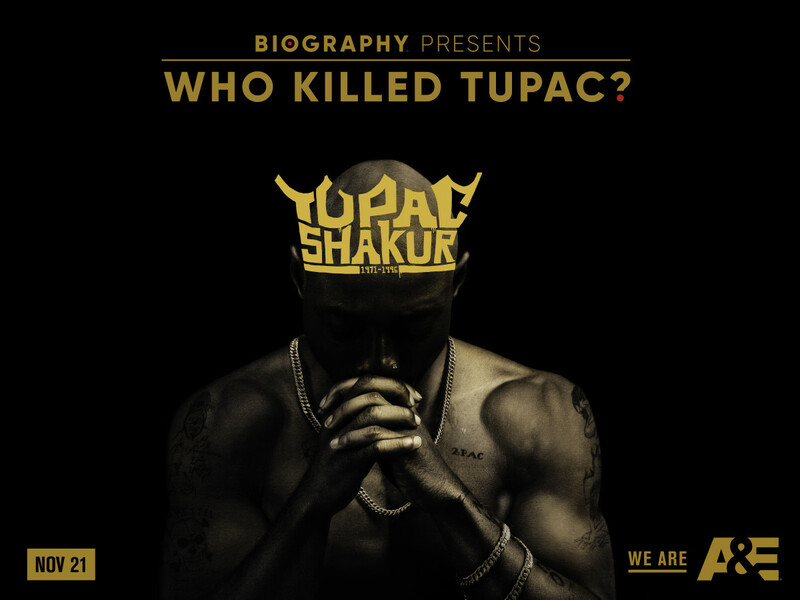 On November 21, 2017, A&E aired the six-part Biography Presents: Who Killed Tupac?, which followed civil rights attorney Benjamin Crump on his investigation into key theories behind Tupac&apos;s 1996 killing. Before Tupac became a rapper, he wrote poetry. “The world moves fast and it would rather pass u by / than 2 stop and c what makes you cry," is one verse he wrote as a teenager that would eventually be published in the 2000 book, The Rose that Grew from Concrete. Did Tupac Have a Wife or Kids? Tupac was not married and had no children. At the time of his death he had a girlfriend, Kidada Jones, who is the daughter of Quincy Jones. Tupac Shakur was born on June 16, 1971, in Harlem, New York. Tupac was born as Lesane Parish Crooks. After joining the Black Panther party, his mother changed his first name to Tupac Amaru, after an 18th-century Peruvian revolutionary who was killed by the Spanish. Tupac later took his surname from his sister’s Sekiya&apos;s father, another Panther called Mutulu Shakur. Tupac’s mother, Alice Faye Williams, was the daughter of a North Carolina maid and a high-school dropout. She became pregnant with her son in 1970 while on bail after being charged with conspiring to set off a race war. Afeni was acquitted the following year after successfully defending herself in court, displaying a gift for oration that her son would inherit. She changed her name to Afeni Shakur after becoming actively involved with the Black Panther Party. Afeni died in May 2016 at the age of 69. Tupac&apos;s father, Billy Garland, was also a Panther but lost contact with Afeni when Tupac was five years old. 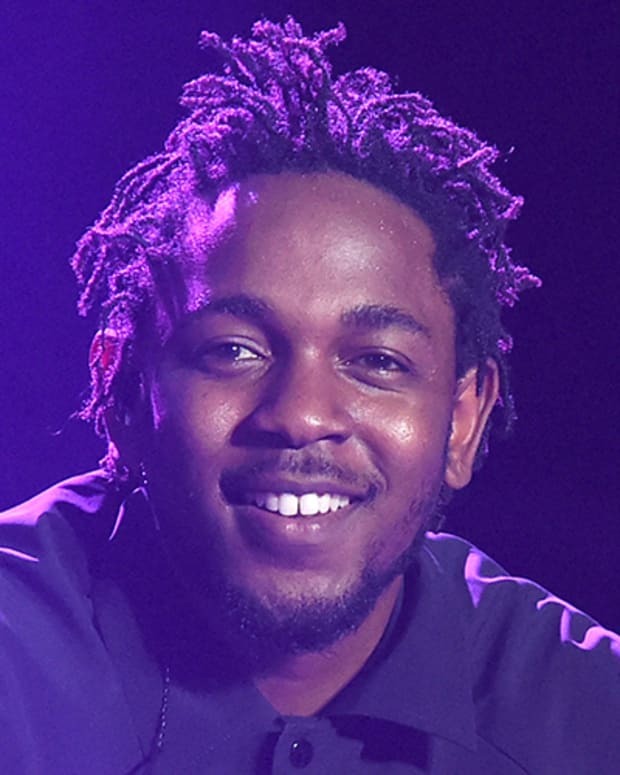 The rapper would not see his father again until he was 23. "I thought my father was dead all my life," he told the writer Kevin Powell during an interview with Vibe magazine in 1996. "I felt I needed a daddy to show me the ropes and I didn&apos;t have one." Afeni gave birth to a daughter, Sekiya, two years after Tupac. However Sekiya’s father, Mutulu Shakur, did not stick around, either. A single mother of two children, Tupac’s mother Afeni struggled for money. The family moved homes often, sometimes staying in shelters. After they moved to Baltimore, Tupac enrolled at the prestigious Baltimore School for the Arts, at which he felt "the freest I ever felt." Their neighborhood, however, was riven by crime, so the family moved to Marin City, California, which turned out to be a "mean little ghetto" according to Robert Sam Anison&apos;s comprehensive posthumous feature on Tupac for Vanity Fair in 1997. It was in Marin City that Afeni succumbed to crack addiction — a drug her son, Tupac, would sell on the same streets where his mother bought her supply. But Tupac&apos;s love for hip hop would steer him away from a life of crime (for a while, at least). At 17, in the spring of 1989, he met an older white woman, Leila Steinberg, in a park. They struck up a conversation about Winnie Mandela. Steinberg would later recall "a young man with fan-like eyelashes, overflowing charisma, and the most infectious laugh." By the time they met, Tupac was obsessively writing poetry and convinced Steinberg, who had no music-industry experience, to become his manager. 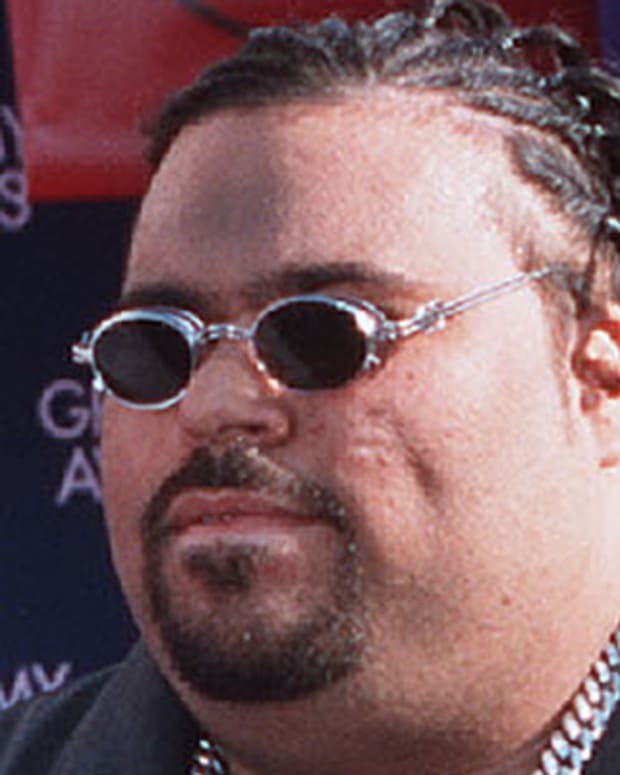 Steinberg was eventually able to get Tupac in front of music manager Atron Gregory, who secured a gig for him in 1990 as a roadie and dancer for the hip hop group Digital Underground. He soon stepped up to the mic, making his recording debut in 1991 on Same Song, which soundtracked the Dan Aykroyd comedy Nothing but Trouble. Tupac also appeared on Digital Underground&apos;s album Sons of the P in October that year. After the band&apos;s manager, Gregory, took over from Steinberg, he landed Tupac a deal with Interscope Records. A month after Sons of the P hit the stores came 2Pacalypse Now, Tupac&apos;s debut album as a solo artist. Tupac often complained that he was misunderstood. 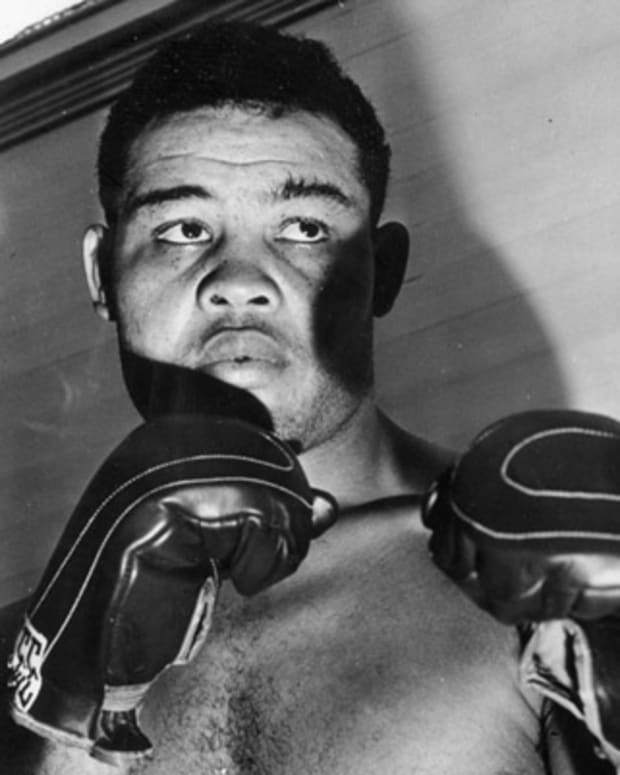 "Everything in life is not all beautiful," he told journalist Chuck Phillips. "There is lots of killing and drugs. To me a perfect album talks about the hard stuff and the fun and caring stuff. ... The thing that bothers me is that it seems like a lot of the sensitive stuff I write just goes unnoticed." In August 1992, Tupac was attacked by jealous youths in Marin City. He drew his pistol but dropped it in the melee. Someone picked it up, the gun fired, and a 6-year-old bystander, Qa&apos;id Walker-Teal, fell down dead. Tupac did go to jail for 15 days in 1994 for assaulting the director Allen Hughes, who had fired him from the set of the movie Menace II Society for being disruptive. In October 1993, Tupac shot and wounded two white off-duty cops in Atlanta — one in the abdomen and one in the buttocks — after an altercation. However, the charges were dropped after it emerged in court that the policemen had been drinking, had initiated the incident, and that one of the officers had threatened Tupac with a stolen gun. The case illustrated the misrepresentation of African-American males, and the attitude of some police toward them, which Tupac had been talking about in his music. What was portrayed as gun-toting "gangster" behavior by a lawless individual turned out to be an act of self-defense by a young man in fear of his life. All the while, Tupac&apos;s star continued to rise. Before Tupac released his third album, there was more trouble. In November 1994, he was shot multiple times in the lobby of a Manhattan recording studio, Quad, by two young black men. Tupac believed his rap rival Biggie Smalls was behind the shooting, for which nobody has ever been charged. 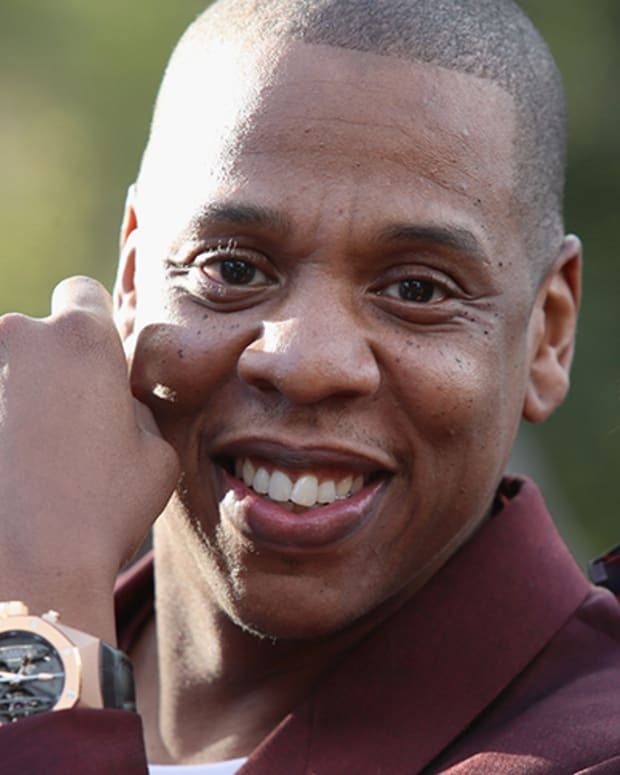 (Smalls always denied he knew anything; in 2011 Dexter Isaac, a New York prisoner serving a life sentence for an unrelated crime, claimed he was paid to steal from Shakur by the artist manager and mogul James "Henchman" Rosemond, and had shot the rapper during the robbery). Months later, in February 1995, Tupac was sentenced to between one and half and four and a half years of jail time for sexually abusing a female fan. The case related to an incident that had taken place in Tupac&apos;s suite in the New York Parker Meridien hotel in November 1993. Tupac maintained that he had not raped the girl, although he confessed to the Vibe magazine journalist Kevin Powell that he could have prevented others who were present in the suite at the time from doing so. "I had a job [to protect her]," he said, expressing his sorrow, "and I never showed up." While Tupac was in prison he was visited by Suge Knight, the notorious label boss of Death Row records. Knight offered to post the $1.3 million dollar bail Tupac needed to be released pending his appeal. The condition was that Tupac sign on to Death Row. Tupac duly signed and was released from the high-security Dannemora facility in New York in October 1995. At the same time as he was glorifying an outlaw lifestyle for Death Row, Tupac was financing an at-risk youth center, bankrolling South Central sports teams, setting up a telephone helpline for young people with problems — all noted in Robert Sam Anson&apos;s Vanity Fair article, published after Tupac&apos;s death. But when he was still alive, the wider world seemed most enthralled with Tupac in the role of the bad man. And Tupac kept playing to the gallery. 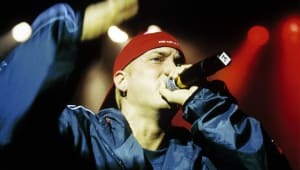 In June 1996 he released a diss track, "Hit &apos;Em Up," aimed at Biggie Smalls and his label boss at Bad Boy Records, Sean "Diddy" Combs — ratcheting up the tension between East and West Coast rap, in what was fast becoming hip hop&apos;s most famous — and ugliest — beef. Within three months, Tupac was murdered. In February 2017, the BMW in which Tupac was riding when he was fatally shot went on sale on the memorabilia site Moments in Time, priced at $1.5 million. On April 7, 2017, Tupac Shakur was inducted into the Rock and Roll Hall of Fame, one of music&apos;s highest honors - a worthy inclusion for a rapper hailed by many to have been the greatest of all time. 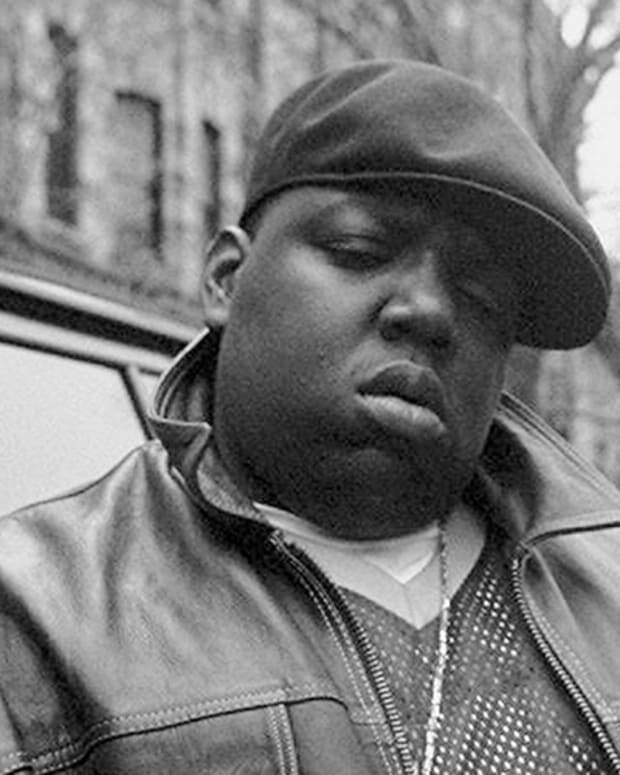 ‘Biggie: The Life of Notorious B.I.G.’ is the first biography to be authorized by his estate and is the most personal and revealing documentary about the late Christopher Wallace that anyone has ever seen. Watch the full-length ‘Biography Presents’ documentary online at A&E. 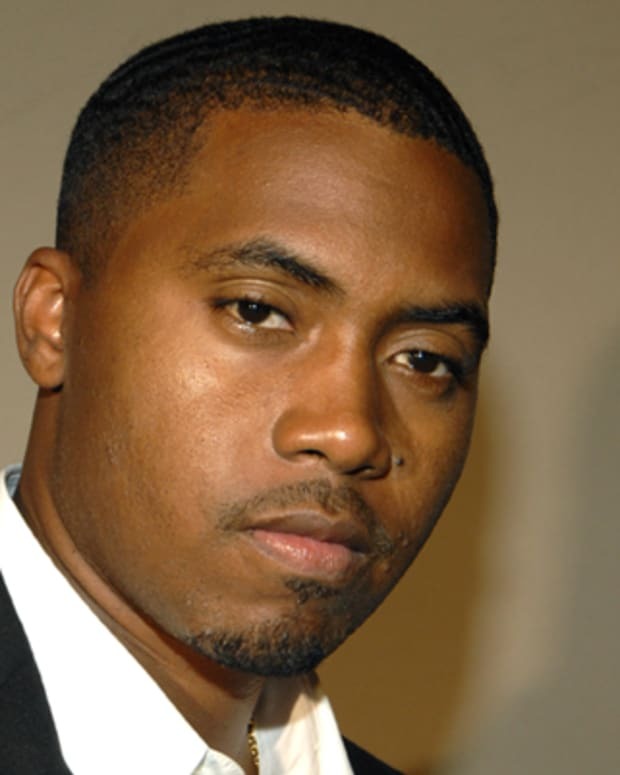 East Coast rapper Nas made it big with albums Illmatic (1994), It Was Written (1996) and Stillmatic (2001).